Handmade custom heirloom furniture from Michigan. Walnut Desk made from client's tree. 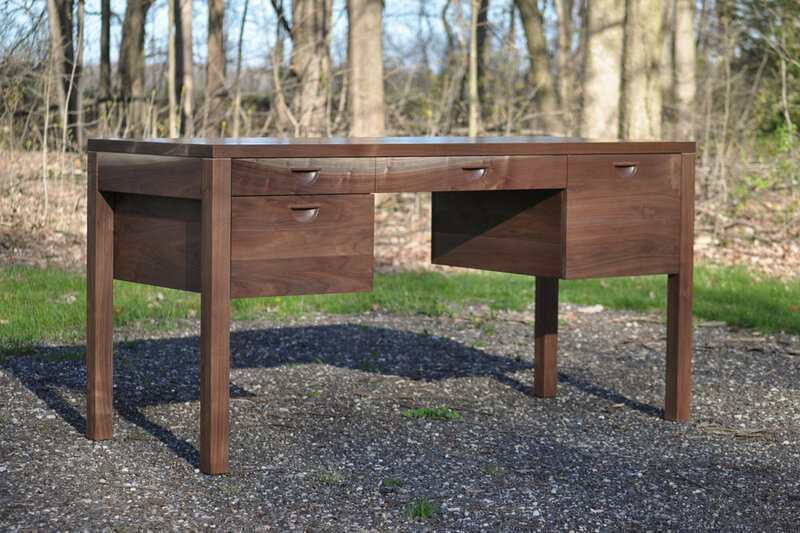 60" x 23" x 30"
Shown in walnut harvested from the client's own front yard, this desk has special meaning in their home. Plenty of storage space in the four drawers, including one set up to accommodate both legal and letter hanging files. 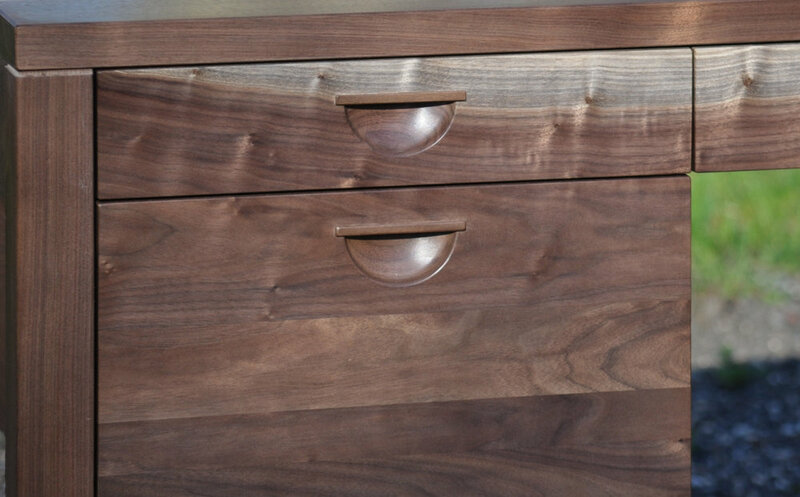 This desk has modern understated lines and carved integrated drawer pulls.